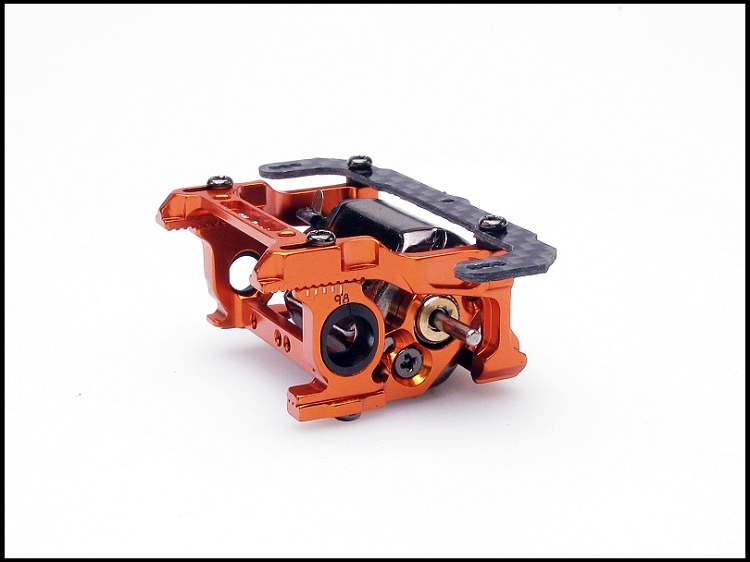 -Wheelbase adjustable from 93mm to 102mm in 1mm increment. 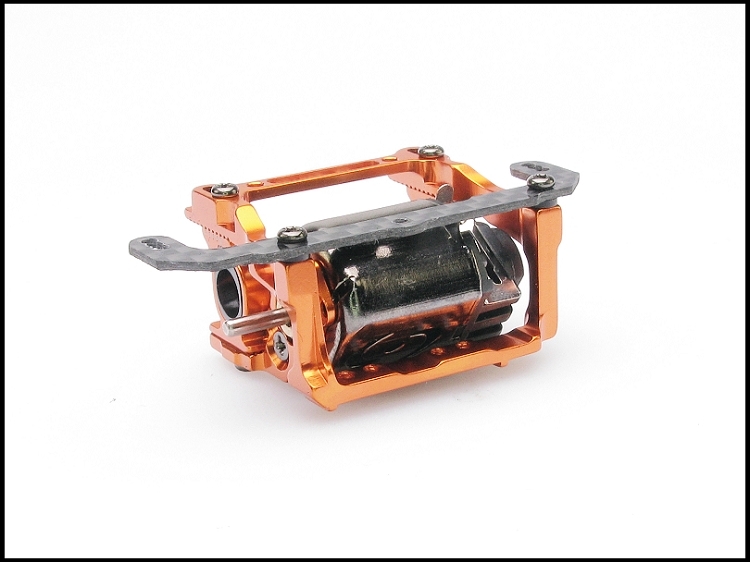 Include both 93-102mm standard width and optional parts MR2395D 98-102mm LM width Differential Carrier. -Wheelbase adjusted with only 2 screws. 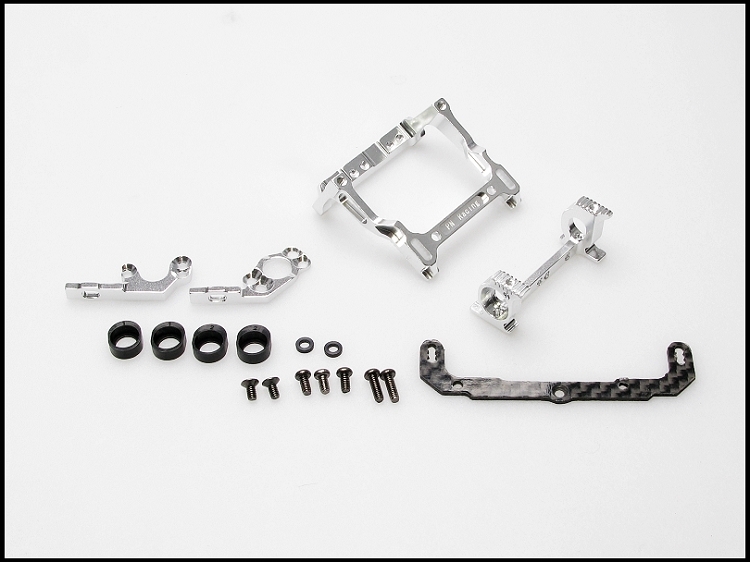 -Wheelbase adjustment does not affect gear mesh or suspension set-up. Allows quick testing of different wheelbase at the track. -Motor drops down for adjustment without affecting suspension set-up especially on a tri-damper set-up. -Multiple motor height positions possible for all track surfaces. -Four ride height adjustments with 2 eccentric bearing holders. -The ultimate motor mount. 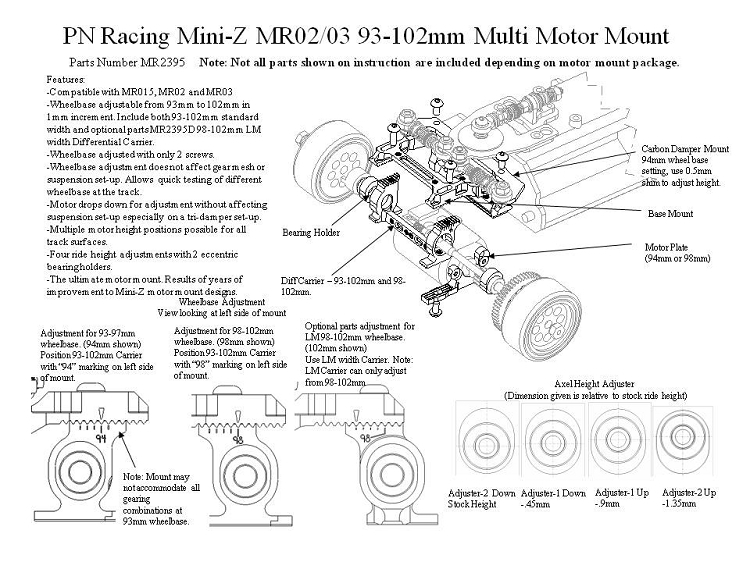 Results of years of improvement to Mini-Z motor mount designs. when going fro 98mm to 94mm it is not as easy as it says, especially when using tri shock. Precision part. This thing can be made to fit just about any body and make them mid motor. I used MR2994G 94mm top shock plate to mount the upper suspension, it fits perfectly at any wheelbase.